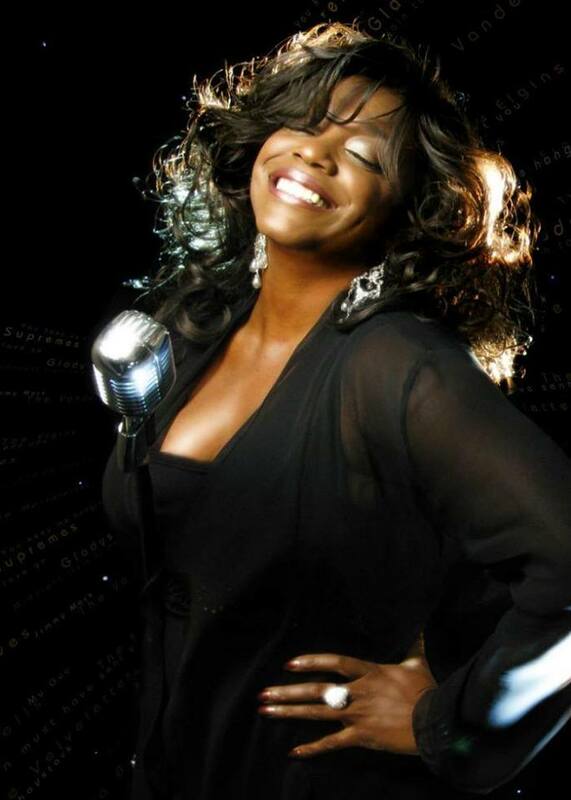 The incredibly talented soul diva Diane Shaw will be joined on stage with her backing singers and band. Diane’s credentials include two No 1 UK Soul Albums and appearing on the live grand final of ITV's ‘Stars in Their Eyes’. She has supported amongst others, George McCrae, Sister Sledge, Alexander O’Neal, The Stylistics, Martha Reeves & the Vandellas and most recently Tito Jackson. 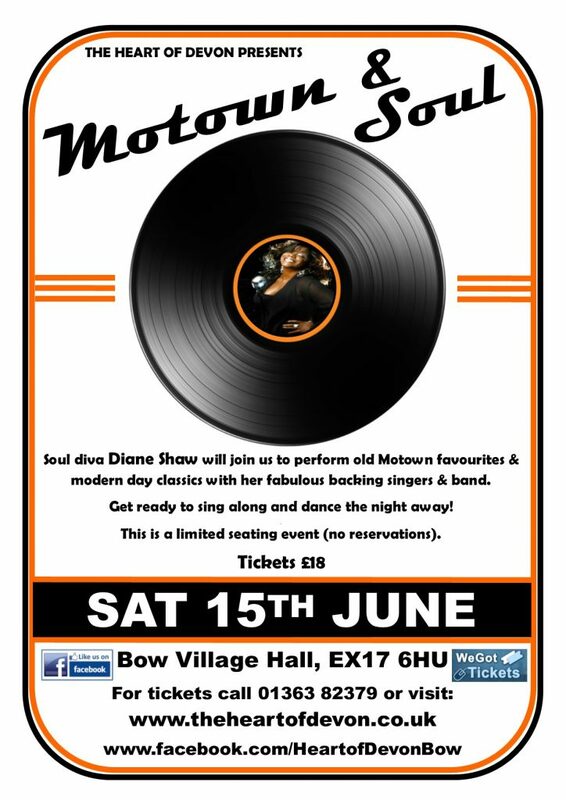 Her show will include old Motown favourites and modern day classics you can sing a long and dance the night away to. Greg Russell and Ciaran Algar joined forces in 2011. Combining Russell’s powerful vocals and driving guitar style with Algar’s All-Ireland winning fiddle playing, the duo have become one of the most sought after acts on the British folk scene. 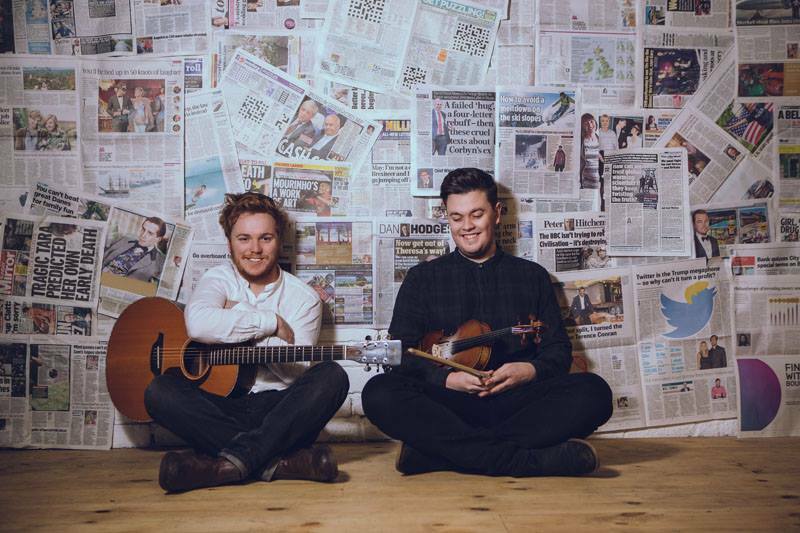 In 2013 the pair won the BBC Radio 2 Young Folk Award before going on to win the Horizon Award for best breakthrough act from the same source in 2014. In 2015, they were nominated in the BBC Radio 2 Folk Award Best Duo category. Thank you so much to Greg and Ciaran who joined us on 14th September. Great evening enjoyed by all! 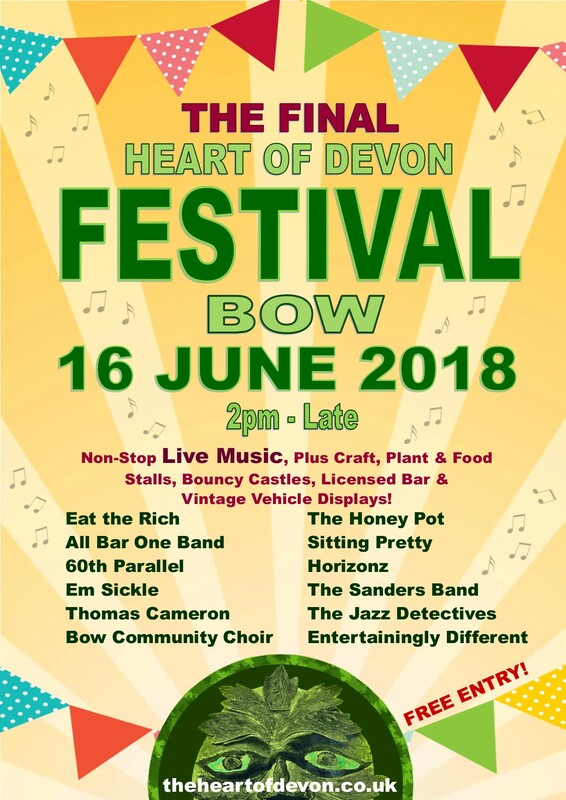 The 2018 Festival will be on Saturday 16th June, and we've arranged a great line up! One of our main aims is to support the community and as in previous years we encourage local groups and charities to raise money on the day by offering space for stalls and activities for no charge. It is always nice to hear how much these good causes make and how much they enjoy the festival. If you would like a stall or have an idea for an activity for 2018 's festival, please let us know! Sadly after much deliberation the Committee has decided to make 2018 the last Festival for the foreseeable future. It wasn’t an easy decision; we know how much the event means to many people. However, since 2009, the Festival has grown each year and is now beyond what our small group of volunteers can manage. 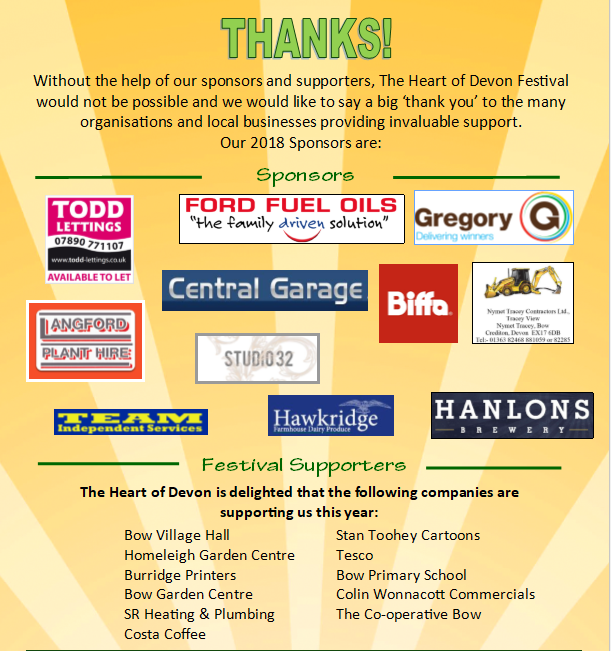 This is not the end of the Heart Of Devon; we will be able to concentrate all our efforts on the smaller events we organise during the year. 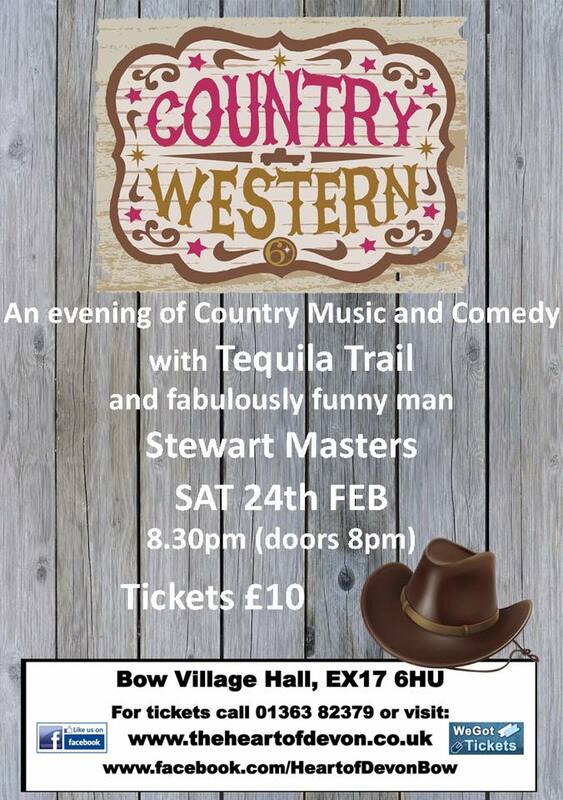 A fantastic evening of Country Music & Comedy. 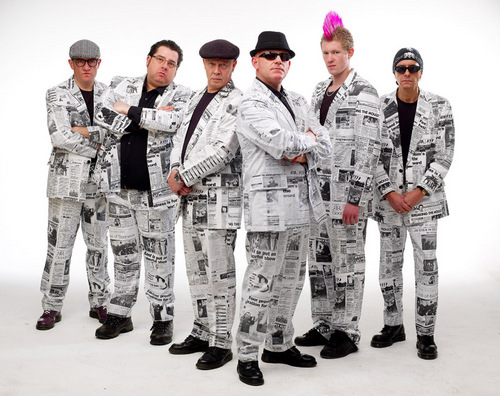 Thank you to the amazing Badness who gave a fantastic performance on 18th November. We haven’t seen so much singing and dancing for a long time – and that was just the crowd! Sign-up to our newsletter and stay ahead of the game! With regular updates about all of our music events you don’t want to miss out.